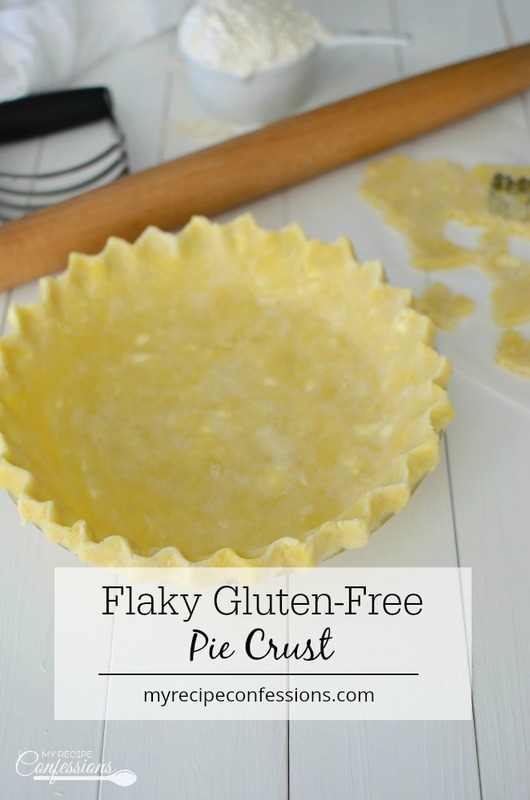 Easy Flaky Gluten-Free Pie Crust is simply magical. 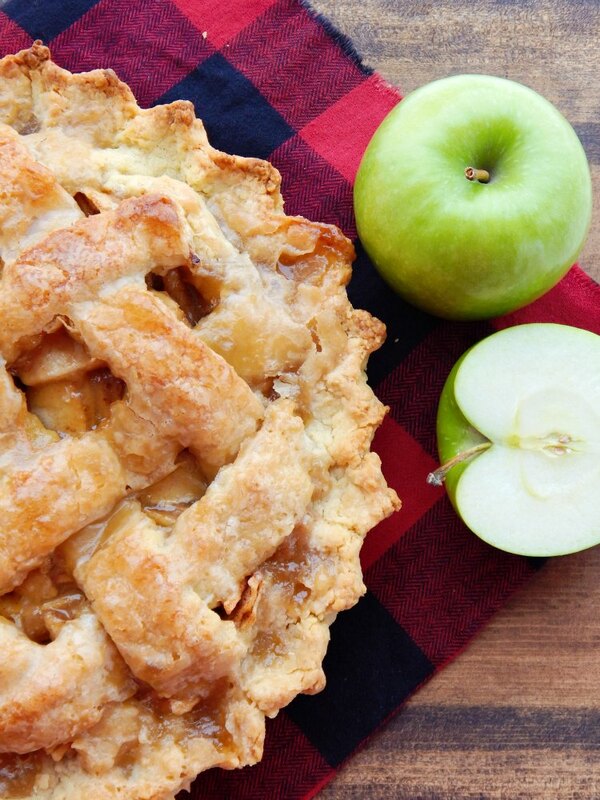 You shouldn’t let gluten stop you from enjoying a rich flaky pie crust. 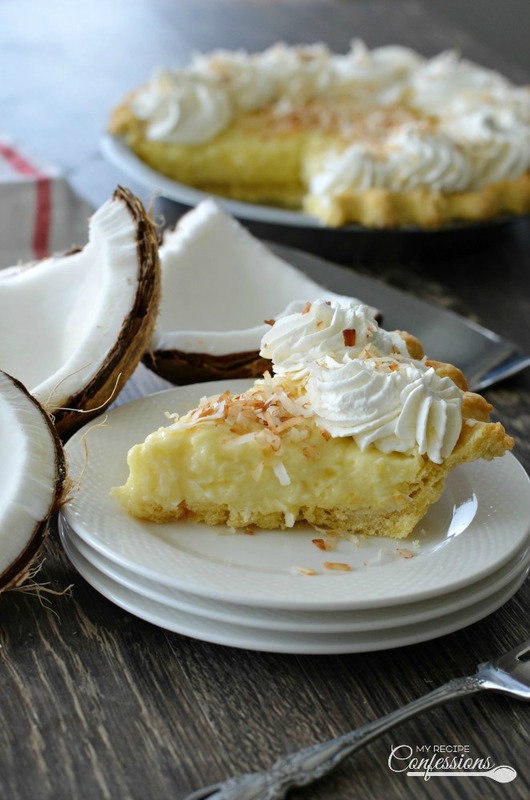 This quick and easy recipe will renew your faith in gluten-free recipes! 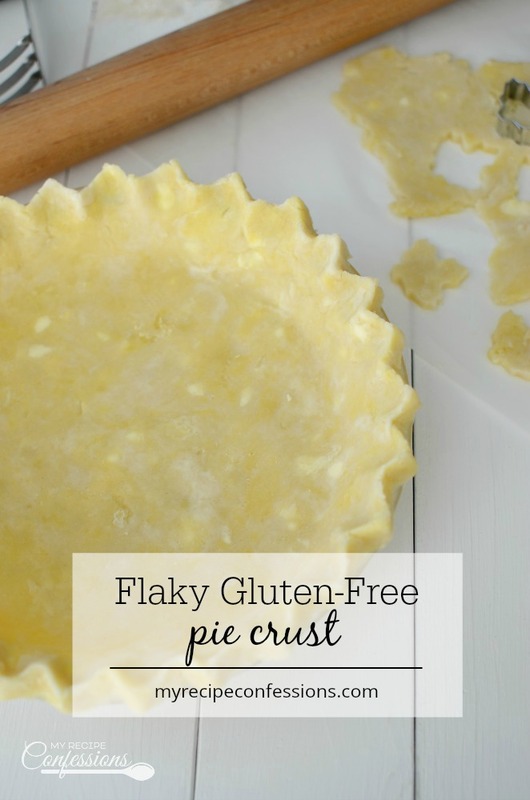 Easy Flaky Gluten-Free Pie Crust is so delicious. You will question whether it’s really gluten-free. Gluten-free food does not have to be difficult or tasteless. By using a basic gluten-free all-purpose flour blend, you can take all the guess-work out of the recipe. 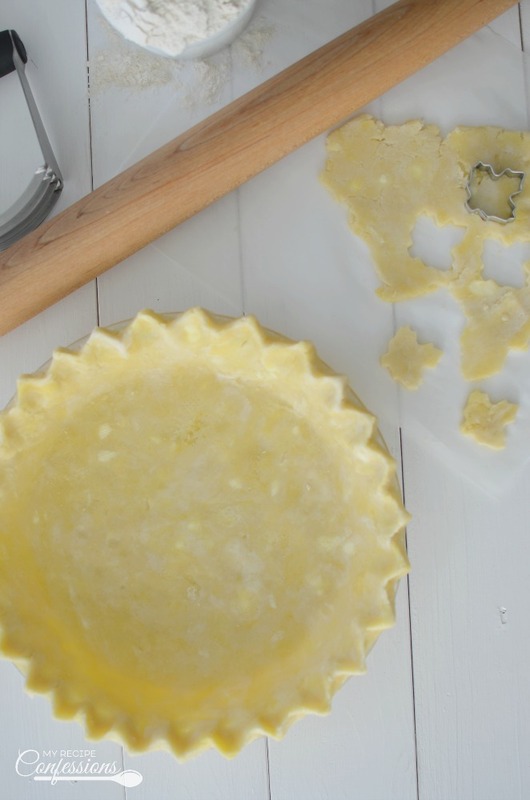 There are two secrets to making a flaky pie crust. First, you need to make sure that the butter and shortening always stays cold. Second, don’t over mix the dough. It’s also important to have a good pastry dough cutter. 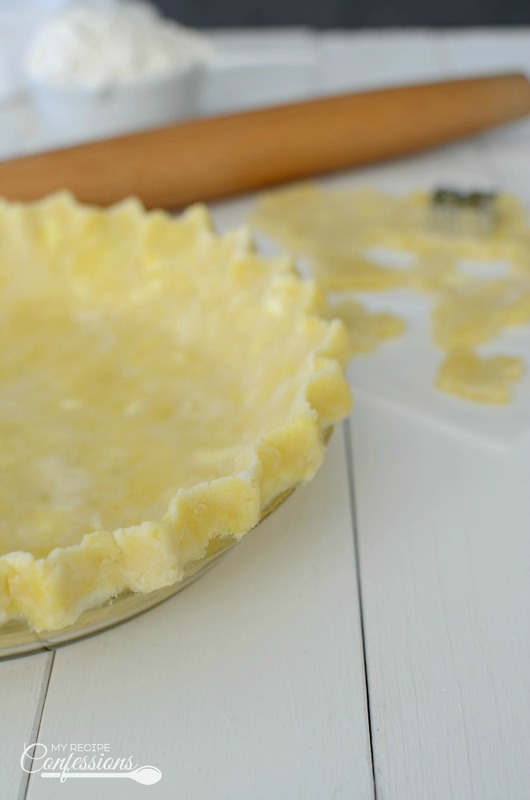 Some people like to use a food processor to make their pie crust. I have found that a good quality pastry dough cutter will result in a much flakier crust because you have more control. 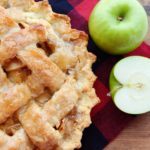 Before you start making the pie crust, it is very important that all the ingredients in the recipe are measured and ready to go. This will help ensure that the fats stay cold. For this recipe I used the Pillsbury Gluten-Free All-Purpose Flour blend. Keep in mind that different blends will result in different textures. 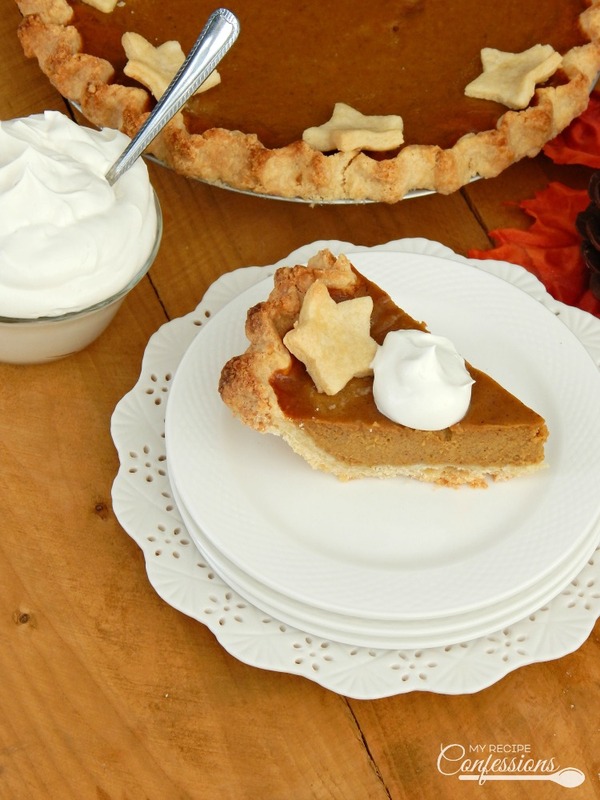 Okay, now that we have gone through all the basics of pie making, let’s start baking! Here are a few of the tools I used for this recipe. 1. Cut butter into 1 inch cubes. Place the butter, shortening, flour, salt, and sugar in a large bowl. Using a pastry dough cutter, cut the butter and shortening into the flour until it is the size of a peanut. 2. In a small bowl whisk the egg, vinegar, and 4 tbsp. of ice water. Add the liquid to the flour mixture and cut the pastry dough cutter into the dough until the dough starts to come together and the fat is the size of a pea. 3. Lay two strips of 12 inch long plastic wrap over lapping on the counter. Place the dough in the center of the plastic wrap and shape into a round disc. Cover the dough with the plastic wrap and chill in the refrigerator for 30 minutes. 5. Unwrap the plastic wrap so that it is spread out on the counter. Roll the dough out into a circle, rolling from the center to the edge until it is about 1/8 inch thick. 6. Place the pie pan upside down in the center of the dough. Holding onto the bottom of the pie pan and dough, flip it over. 7. Press the dough gently into the pie pan. Trim the excess dough from around the pan so that there is a 1/2 inch trim around the edge the pan. 8. Shape the edges as desired. 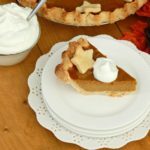 If you are making a cream pie, poke holes with a fork around the inside of the pie dough. 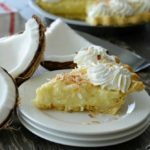 Here are a few pie recipes you should try.